My journey of blogging is few months old . Since I use to participate in lot of facebook contests , once I saw a blogging contest from site Blogadda.com , at that time I had little knowledge of blogging but I still I wanted to give it a try . I participated in that contest and got a flipkart voucher for participation . That motivated me to learn more about blogging .Then one day I read an article on Indian bloggers in Newspaper and how blogging is becoming a new carrier option for many . The article was about top Indian bloggers like Harsh Aggarwal , Miss Malini , Syed Imranuddin etc. That article inspired me to start my blogging journey . Since I had a passion to write , I loved trying and reviewing beauty products , I planned to have my own blog and share my experience with others so that others can also be benefitted . And over all it gave me Creative Satisfaction that I am doing something good in my free time . I started following various Indian beauty blogs and learned a lot from all fellow bloggers . I became member of various blogging community and review sites to improve my writing and learn many more things about blogging. And after winning many prizes for participation I can proudly say that I am happy to be a Blogger . When readers leave a positive comment on my blogposts , I feel extremely happy that people are liking my work , that motivates me to write some more good stuff and utilise my talent and time in a positive way. 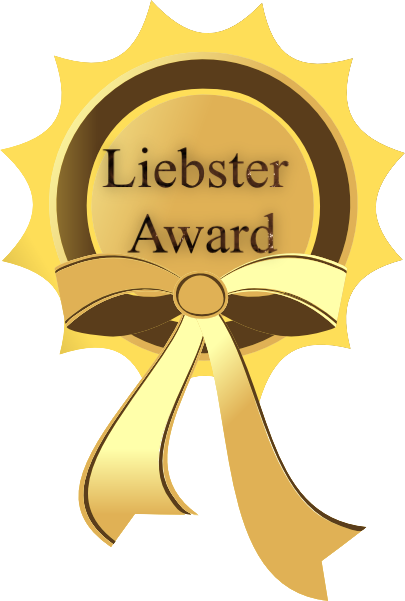 I was reading about this Leibster Award in many blogs and wished that I also get one . Yesterday when I got a message from a fellow blogger Shampita that she has nominated my blog for this award , I felt happy and excited . So I would thank Shampita from The Rainbow lady for nominating my blog for this award. 1.Who is your favourite blogger ? My favourite blogger is Harsh Aggarwal .I have learned a lot about blogging from his site Shoutmeloud.com . He is promoting blogging in India and is ready to help budding bloggers to take blogging as a full time carrier. 2.What is the craziest thing you have done in your life ? When I was in grade 11 in my school once I had bunked my biology practical class with my friend Shalini , later on we regretted and feared that a notice would be send to our homes , so Shalini suggested me to behave as if I had Fainted because of extreme heat ( it was march ) , and this would save us from punishment and I did what she said . When our Bio mam came to know this she was worried about my health and took extra care of me during her classes .That made me feel Guilty and I decided not to such crazy things again. 3.Where do you like vacationing the most seas, hills, forests ? I like sea shore , I have been to Juhu beach and Puri beach (in Odisha ) , the atmosphere there is so calm and quite , seems we have reached a different world . 4.How do you like travelling, Rucksack, woodland shoes and adventure camps, or Louis Vuitton Suitcases, High Heels and Ritz Carlton? I like Woodland shoes and adventure camps . Going to natural places is fun and gives immense pleasure which can not be described in words. 5.What is there in your make up pouch right now? Lip balm and Maybelline Kajal . A must have in my makeup pouch . 6.What is that one make up item you regret buying ? Eyeliner , when ever I have used eyeliner it smudges and so I had to remove it .So I prefer using only eye shadows and not eyeliners . 7.What is your guilty pleasure? Eating chocolates , I know too much of chocolate is not good for my health but at times I cannot just stop myself indulging in eating my favourite ones. 8.Caramel popcorn or Cheese popcorn ? 9.What is your great Kitchen disaster? Once I was preparing masoor dal for lunch and I forgot to put turmeric in it !! I had to prepare it again before anyone could know . 10.If you were a flavor of ice cream which one would you be ? Might be chocolate flavour as I like chocolates so much and try to make every thing chocolaty!! 3.What are your three must have beauty products ? 4.Which is your favourite cosmetic brand and why? 5.Which is your favourite Holiday destination? 6.Home made food or Restaurant food ? and why ? 8.How has blogging helped you to grow as a person ? 9.Favourite Website ? and Why? I am waiting to read answers from the blogs I have nominated . A humble suggestion : Lets us all follow each other on social media sites to know more about each other and more about various blogging activities in India .